Taurus: Venus will be ruling your horoscope this month which could well be a blessing in disguise. If your profession involves writing or finance, September will be very rewarding however, you might experience a little downside in terms of communication and social status. Spending some time with family won’t be a bad idea this time of the year. Romance is in the air so enjoy and shower your partner with love. Read Your Taurus Monthly Horoscope. Gemini: Sun and Mars are forming an association in the fourth house early this month, making homely affairs quite prominent. Your career is looking better than ever so don’t be surprised if you get a big promotion or a raise. People seeking love could finally get lucky this month. Read Your Gemini Monthly Horoscope. Cancer: September monthly horoscope dictates your productive suggestions may not be received well this time around. Communication will be below par and most of what you experience this month could be a result of it. Work looks good though as your efforts will be met with appreciation and reward. Read Your Cancer Monthly Horoscope. 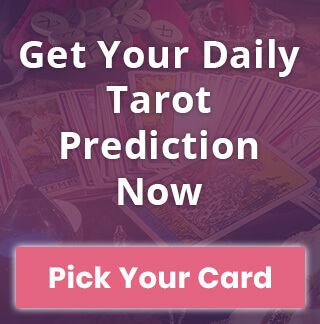 Leo: You’ll be looking to touch more social circles this month, and since you are brimming with creativity, it will give you all the more opportunities to mingle and build a strong social network. But don’t forget to play your part in the family rendition, it’s equally crucial. Finances look terrific and there is a substantial monetary reward coming your way by the end of the month. Read Your Leo Monthly Horoscope. Virgo: Birthday month is here and believes us, there are all the more reasons to celebrate. Mercury enters the tenth house making this month probably the best time to start something new, especially if you’re looking to make a mark in the field of finance. All your plans are going to pan out exactly the way you wanted. September belongs to you, make it count. Read Your Virgo Monthly Horoscope. Libra: This is going to be a transitional month for you in terms of career. Venus and Saturn confluence in the house of the profession is a sign that you might switch fields this September. However, don’t land on something out of impulse, think through your choices. We suggest you get your priorities straight and plan a good strategy to move forward. It’s an excellent time to plan a family. Read Your Libra Monthly Horoscope. Scorpio: Pluto has moved out of the Scorpio retrograde, making this month awfully sluggish and exhausting. You need to drag yourself throughout September, so keep your spirits up and high. Also, you might come to face with some harsh realities of life, therefore we would like to advise you to maintain your composure and be very careful with the choice of words. Let this month slide peacefully, a good time awaits on the other side. Read Your Scorpio Monthly Horoscope. Sagittarius: This month looks a bit more challenging relative to what you would experience for the rest of the year. But take it as an opportunity to get closer to yourself and explore newer ways to deal with unpleasant circumstances. Be careful with your purse and don’t spend recklessly as your finances may get jostled later this year, and saving some portion would be in your best of interests. Read Your Sagittarius Monthly Horoscope. Capricorn: For you, the entire focus this month will be on mending your relationship with your partner. You better be ready to walk an extra mile because it’s not going to be easy. You’ll come across lots of career opportunities this September, don’t squander them. Also, put on your reading glasses because you’ll be curling up with some good books this month. Read Your Capricorn Monthly Horoscope. Aquarius: You’ll be more focused and passionate towards your career. Sun and Jupiter in the upper monthly chart suggest you will be regarded highly at your workplace. Health might suffer a blow this month so stay careful there. Overall, September will only bring good news and you might get a chance to spend some time out with your family and friends. Read Your Aquarius Monthly Horoscope. Pisces: Saturn uprising has got your creative juices flowing which means you’ll be looking to embark upon a new professional journey. Family troubles might give you a few hiccups but it’ll all be momentary. Your love life is looking great, and if by any chance you’re looking to pop the question, this month will be the best time you’ll ever gonna get. Read Your Pisces Monthly Horoscope. 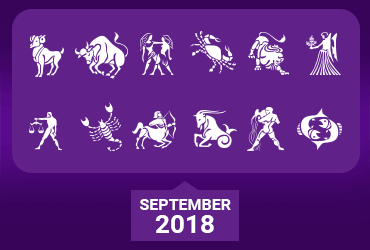 So this how September would fare out for each zodiac. Want to know it in detail? 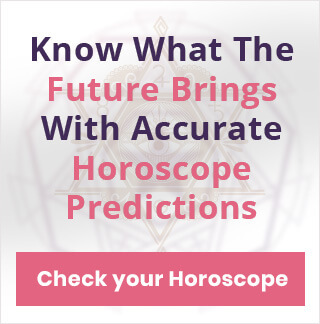 Take a look at your Monthly Horoscope now!